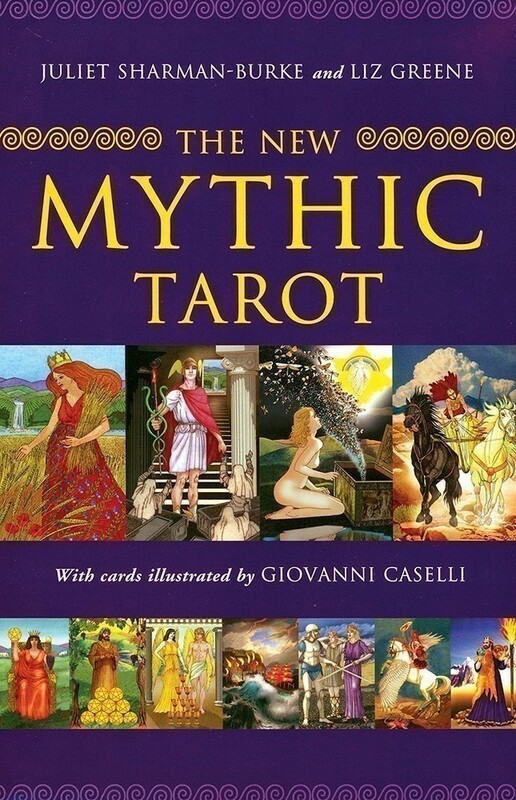 First published in 1989, The Mythic Tarot deck has been an international success with tarot readers for over 25 years. New life has been breathed into this classic deck with all new illustrations by Giovanni Caselli. 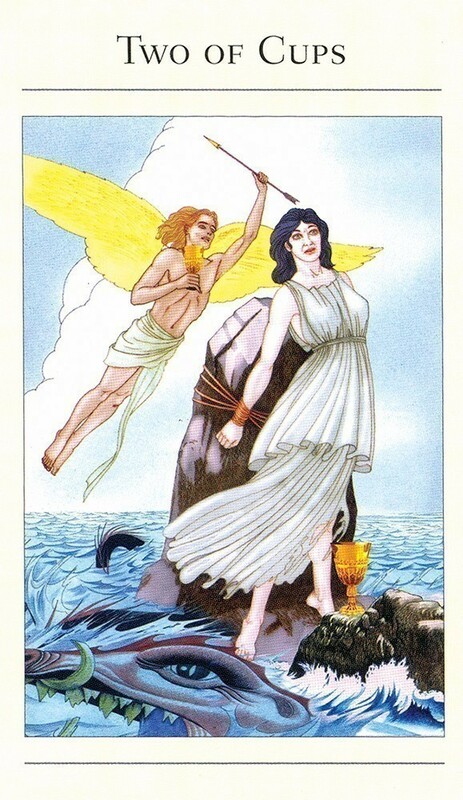 The Major Arcana card illustrations depict the gods and goddesses, heroes and heroines of classical Greek mythology. These familiar archetypes reflect our own life patterns and experiences. The images are rich in psychological insight, providing wisdom and guidance for seekers of personal growth. The Minor Arcana are presented in the form of stories that accompany each of the four suits, each relating to a different sphere of life. The expertly written 256-page illustrated book guides the reader through the myths, the imagery and symbolism of each tarot card, and the meaning of the card at both the inner level and the divinatory level. 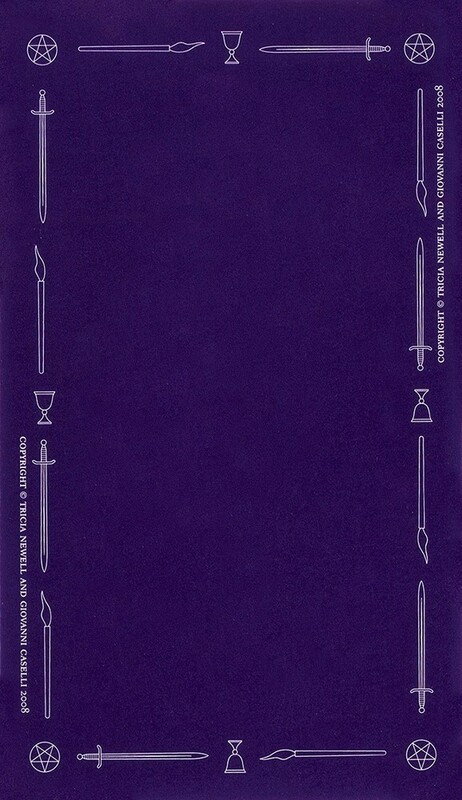 Instructions are given for the Celtic Cross spread and a Planetary Spread with sample readings. 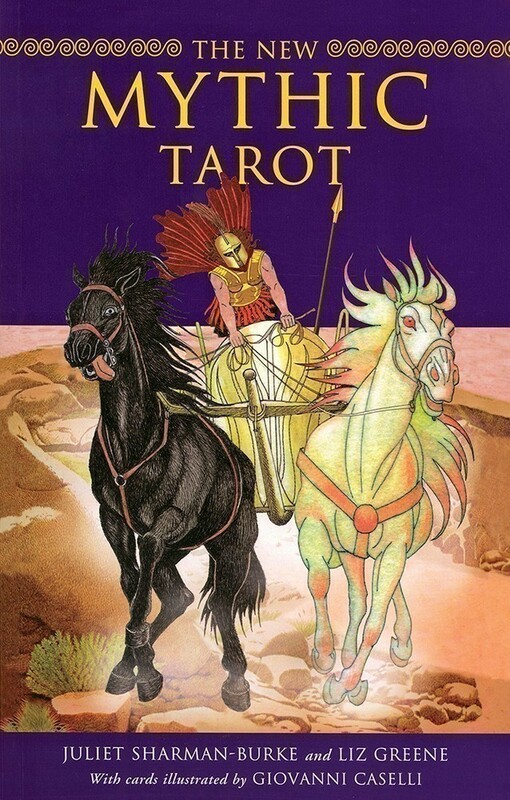 Also by Juliet Sharman-Burke: Beginner's Guide to Tarot. Box measures 6.25" x 9.75"; Cards measure 2.75" x 4.75"
This book is an excellent read for anyone interested in what Joseph Campbell referred to as the Hero's Journey. It's the companion book to a tarot deck, and it's very psychologically sound, as is everything written by Liz Greene, a Jungian analyst and astrologer. This book can be enjoyable read without any prior knowledge of astrology or myth. The theme of this deck is Greek mythology and these myths are used to illustrate the deck and its psychological themes. According to Sharman-Burke, one of the authors, "Greek myths have been assigned to each card and the stories are intended to be used as a springboard from which to enrich an understanding of the psychological uses the tarot can be put to." Although not a clone of the traditional Rider-Waite deck, anyone who is familiar with the Waite deck will find some similarities. 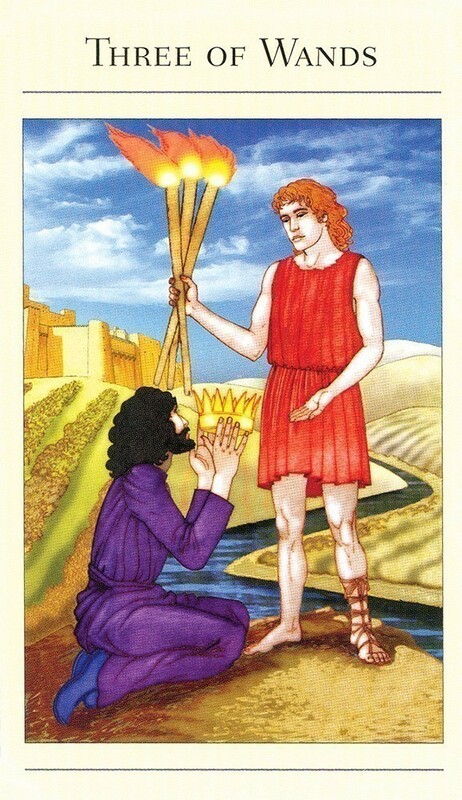 The authors of the Mythic Tarot have tried to maintain a connection to the Waite-tradition without copying it. The cards are simple, warm, and attractive. I like the simplicity of the cards, which seem to have an emotional expression on a subtle level. They are pleasing to look at, and they do contain symbolic images, but are done in an uncluttered fashion. For each card, the accompanying book describes the myth that is illustrated on a card, an interpretation on an inner level, and a short divinatory interpretation. 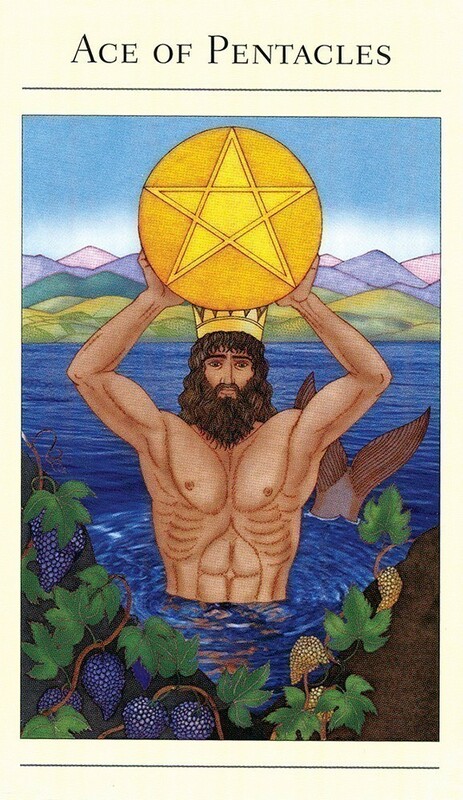 I like the way that the archetypal images of the tarot have been intertwined with the heroes and gods from Greek mythology, which are stories that have resonance with most westerners. This combination of the images and the use of Greek mythological characters to depict them creates for me a synergy of meaning that has great power. The images on the cards are clear and use rich imagery, which I like as a visual person, because it helps my intuitive understanding of the meaning of the card in the context that it is in the spread. I have used this deck almost daily since I bought it a couple of weeks ago, and have done a few spreads on the same issue. The cards have been very consistent in their message and the appearance. I believe that these cards provide very reliable guidance in my life. I bought the accompanying book, which is very thorough and informative. 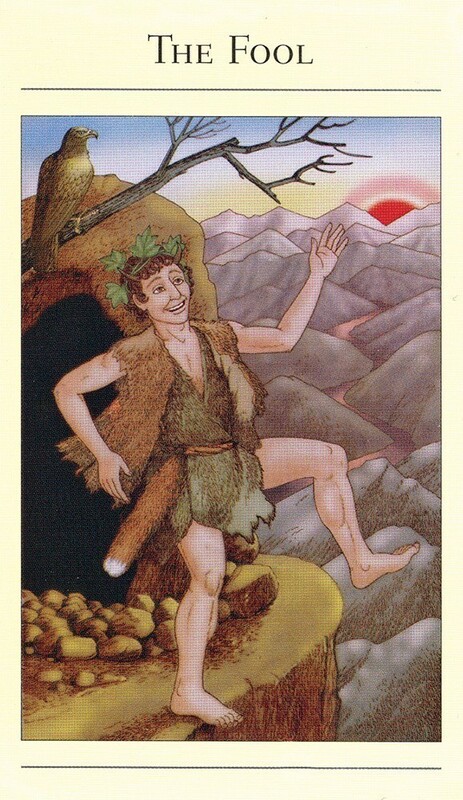 For each card in the deck, the book tells us the story, or stage of the story, depicted on the card (literal meaning). 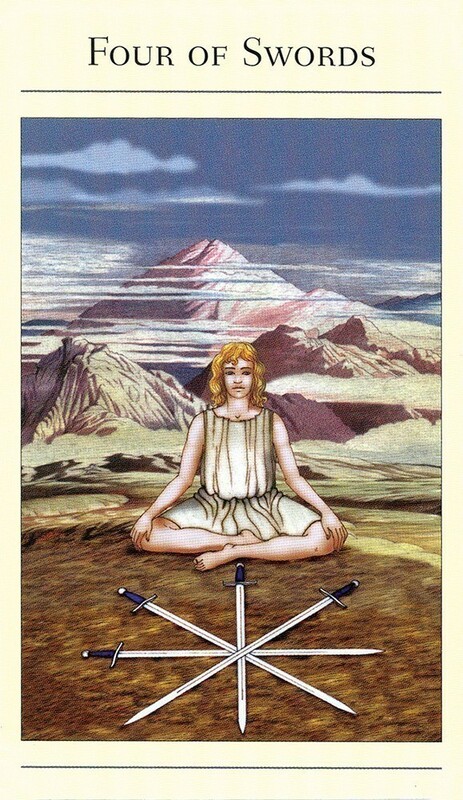 It then discusses the inner meaning of the card and how it might relate to the seeker. It then has a divinatory meaning at the end. For me this deck has really good energy. I am getting to know the cards and this is also helped by the use of the Greek myths. I would highly recommend this deck to anyone starting out or who has an interest in classical studies, mythology, or archetypal imagery.